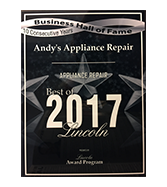 Andy’s Appliance Repair & Parts House is factory-trained and authorized to provide affordable appliance repair to the folks of Lincoln. We are ASKO factory certified. 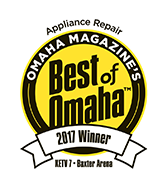 If you are in need of residential appliance repair on appliances like ovens, ice makers, dishwashers, fridges, washing machines, dryers, warming drawers, wine coolers, ventilation and more, Andy’s Appliance Repair represents an ideal blend of quality and value. We don’t charge you an arm and a leg to get the job done the right way. 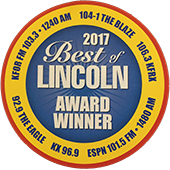 We’ve been serving the Lincoln, Omaha and surrounding communities and beyond with quality kitchen and laundry appliance repair for over 45 years, so it’s safe to say we have an understanding of what this industry demands. 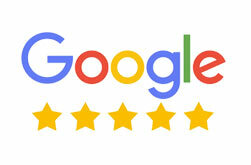 We conduct ourselves with a “guest mentality” approach when our Master Certified Technicians are in your home. We even put booties on our feet to keep your house clean and don’t traipse in dirt into your clean home. Our technicians put their tools and bag on mats so we don’t damage or scratch any surfaces. People have come to trust Andy’s Appliance service because we are reliable. We stand by our 2- hour appointment windows that we’ve made, and we are respectful, polite and professional when in your home. We treat you, like we would want to be treated. Our customer service team will call you the day prior to your appointment to confirm with you. We also send out an email with your technicians name and picture so you know who will be on your door step the following day. An example of this commitment is we won’t ring your doorbell when we come to your place, just in case there are any little ones laying down for nap time! Our technicians arrive in clearly marked Andy’s vans and will be wearing a smile and neatly pressed uniforms. We are dedicated to accurately diagnosing the problem and finding a solution so that we can get your daily life back on track. We will provide you an estimate for the repair and often complete the repair same day with the extensive parts inventory in our van. We are friendly, reliable, and we’ll get the job done in a timely matter. For many of our customers, this thrills them because it means they don’t have to take the entire day off of work, and neither do they need to stress about some random person being in their house unattended. In 1950 by a young Swedish farmer named Karl-Erik Anderson set out to build his mother a different kind of washing machine. One that was water and energy efficient that would reflect his love and respect for nature. One with superior cleaning power and reliability that could heat water and even used a stainless steel drum. A machine like no other. The washing machine surpassed his mother’s high standards and was eventually convinced to share his creation with others. So he built a world-class engineering and manufacturing facility right on the family farm, where it stands today. Today ASKO is an international brand with a full line of high- performance washers,dryers and dishwashers. ASKO appliances still do a great job of cleaning with a fraction of the water, electricity and detergent of man other machines. Every component is constructed of steel rather than plastic wherever possible and every machine is still built with Scandinavian quality . In short ASKO appliances are some of the best performing most environmentally friendly and longest lasting on earth. In 2009 SKO launches in Sweden and in 2010 ASKO Appliances was purchased by the Gorenje Group , Slovenia. Today ASKO offers a full line of kitchen and laundry appliances. ASKO kitchen appliances include stand alone, integrated and outdoor refrigerators and wine storage. Kitchen cooking includes ovens, pyrolytic ovens, steam assist and aqua clean ovens, warming drawers as well as a variety of cooktops, dishwashers and rangehoods. Laundry by ASKO include front and top loading washing machines and dryes. The also offer a professional line of kitchen and laundry appliances too.